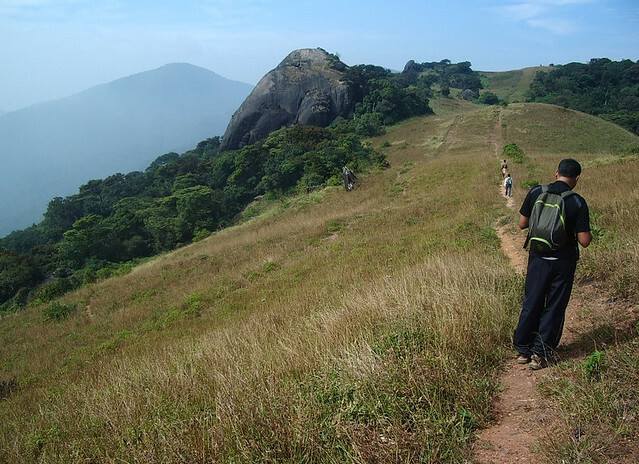 Full day of outdoor actvities in Vythiri, Wayanad: you will hike, bike and raft in these wonderful plantation & jungle hills! Awesome! 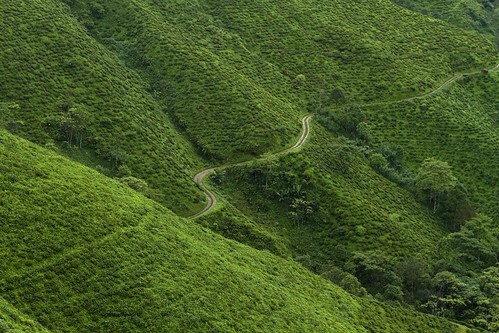 Think Wayanad and immediately images of nature, wildlife, tea gardens and coffee plantations come to mind. 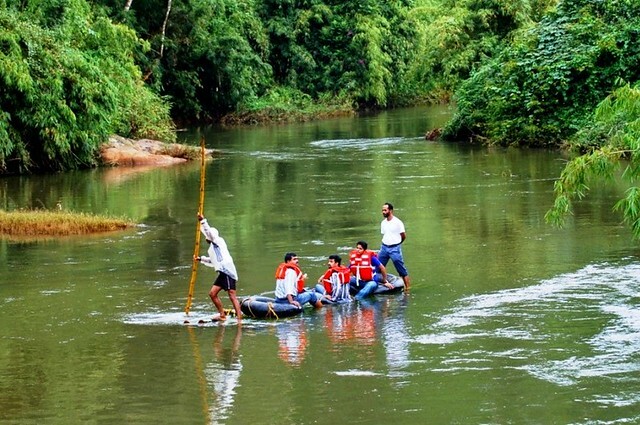 Things to do in Wayanad, Kerala can range from the mild sightseeing to the wild joys of caving! Wayanad is home to the two wildlife sanctuaries of Muthanga and Tholpetty where herds of deer, bison and wild elephants roam and if you are really lucky, a tiger spotting as well! Check out the Wayanad Wildlife Sanctuary to see how the reserved forests here have contributed to protecting endangered wildlife. Wayanad has loads to see and do and range from the largest dam in the country, the Banasura Sagar Dam to the pre-historic Edakkal Caves with ancient painting and rock art. 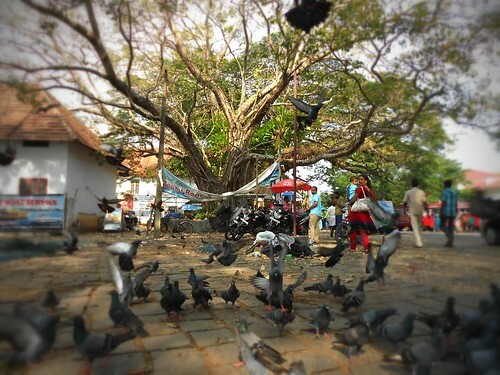 The best part is that some of these sights can be done along with your trekking & adventure activities here. 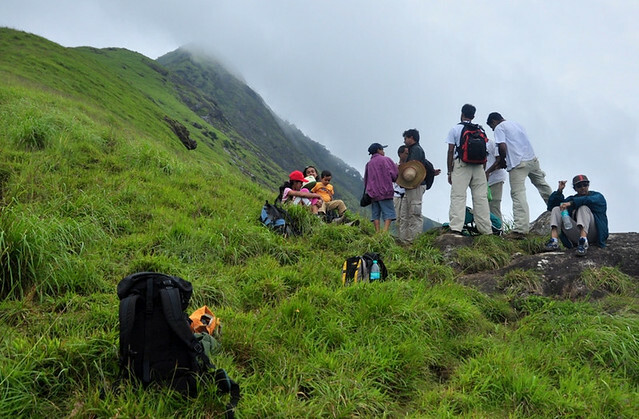 When it comes to things to do in Kerala, Wayand tops as an adventure activity destination for all kinds of groups and especially team building groups from cities like Bangalore. 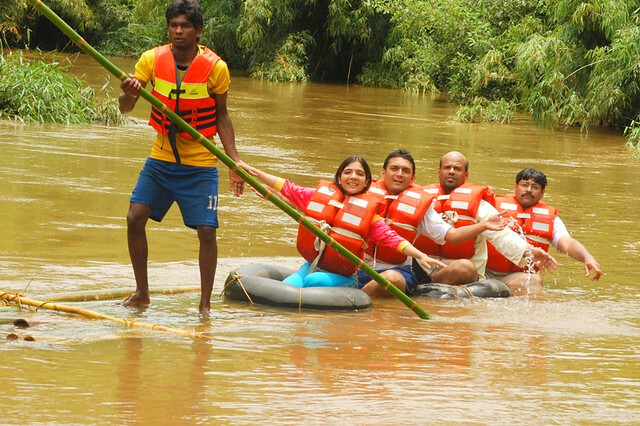 Activity weekends are fast gaining popularity all over the country and exotic Wayanad seems to pull in people from far and wide. This is a place ideal of trekking and hiking like the trail up the Chembra Peak, for example, is very popular. 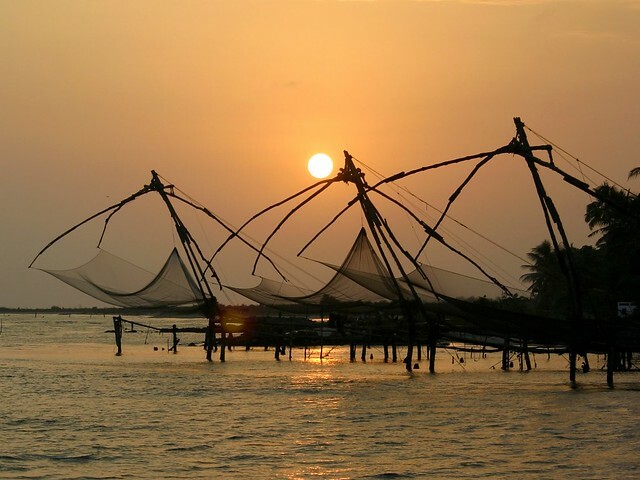 For the more offbeat and adventurous idea try bamboo rafting to Kuruva Island or for the more relaxed idea a cycling tour along the tea gardens. 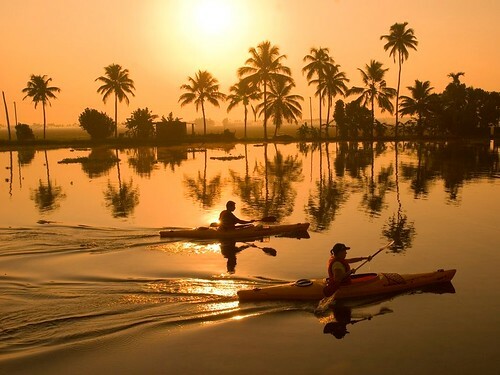 The lure of the place is huge and numerous eco-resorts like the Vythiri Village Resort are considered some of the best in the country! The hill station is 2100 metres above sea level at its highest point and the weather is cool, misty and often with dense fog and rain during the monsoon. The soil is fertile and home to large spice cultivation along with tea and coffee. Get here and do not leave without a bag of spices, pepper and ginger or a tribal art and craft collectible!